With the previous episode ending on the cliff-hanger that Vanessa knows where Mina is we begin this episode with Sir Malcolm preparing to follow through Vanessa’s vague vision and find his daughter. Seeing as this is the final episode you would think that the main crux of the story would be them finding Vanessa. It isn’t at all. Instead of joining all the storylines together we continue with the fragmented narrative that has previously hindered the series. After Vanessa has a hissy fit with Sir Malcolm about him feeling shame about the way he has treated his children (why are all these characters so horrible? None of them are nice) she meets up with Dorian. Meanwhile, Frankenstein and his creation have a chat about how crap life is before Frankenstein befriends him. That’s right; Frankenstein the man who rejects his creation because of it being horrible is now completely all right with being friends with his creation. Now I’ve got no problems with artistic license, for instance, I liked how Logan introduced The Monster in the second episode but now he seems to be doing the equivalent of taking the source material and pooing all over it. The whole point of the book Frankenstein is that he rejects his creation because of the way he looks making the basic point of not judging a book by its cover (there are of course underlying themes about race, gender and having a god complex but they aren’t needed for this argument) and that you should try and know someone before judging them. By having Frankenstein reconcile with a creature that has killed his only two friends and also is meant to be an abomination in his eyes completely misses the point Mary Shelley was trying to make. Even worse, when Brona dies Frankenstein’s dark suggestion that he is “going to deal with the body” implies that he will make The Monster’s bride something that Frankenstein only partially considered in the first book because The Monster was threatening his fiancé not because he felt sorry for him! We also have the revelation that ol’ Chandler is a werewolf. Oh wow, shock twist. The problem with this twist, rather like the twist about Van Helsing in Episode Six is that there is no build up and no real reason for it. It just sort of happens and seeing as he clearly doesn’t change in the conventional way a werewolf would change it isn’t really that clear what sets him off. If it is anger, surely he’s been angrier before and if, as it is implied, this is the reason then why does he kill the family in the first episode? Did they just pee him off? 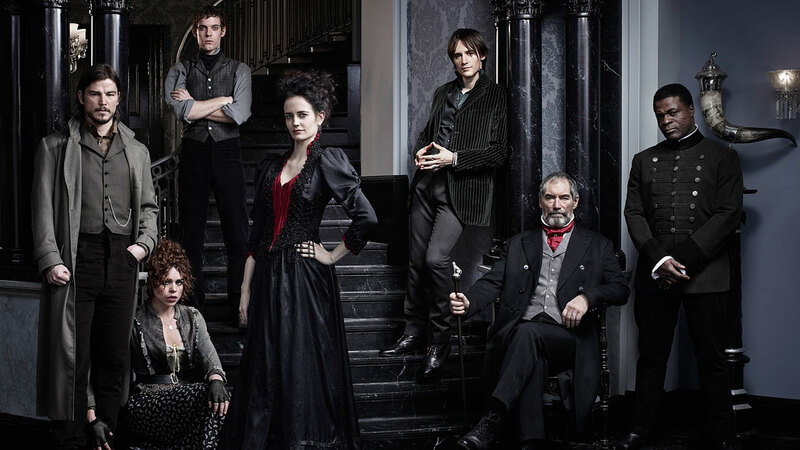 Penny Dreadful’s final episode wasn’t, as I naively hoped, that good. It was mainly a way of concluding the story arc in the clumsiest way possible. Instead of wrapping up the Mina arc in the strongest way possible, by utilising all the characters, the series instead just stumbles to its conclusion with no real thought or care put into it. Penny Dreadful was really a missed opportunity, it could have been a fantastic series but in the end it was just really bad.